Fix rock chips and scratches on your Mustang with this Motorcraft Lightning Blue touch up paint! Quickly and easily repair blemishes in your paint with this Mustang Motorcraft touch up paint! Rock chips and scratches are, unfortunately, impossible to avoid sometimes. Now you can fix and restore your paint the right way with original touch up paint from Motorcraft! 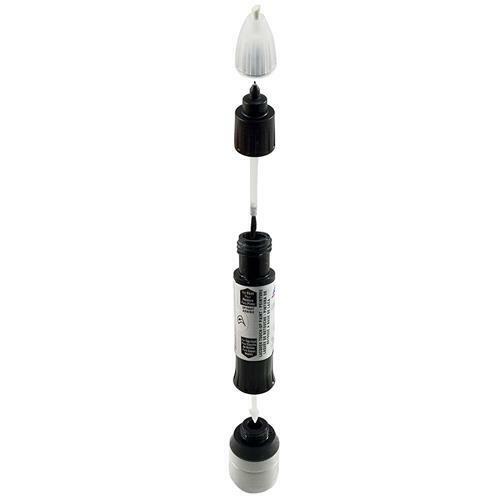 This compact bottle features all the tools necessary to make your paint spotless again! Motorcraft's touch up paint bottle features the four tools necessary to fix paint chips and scratches in a hurry! 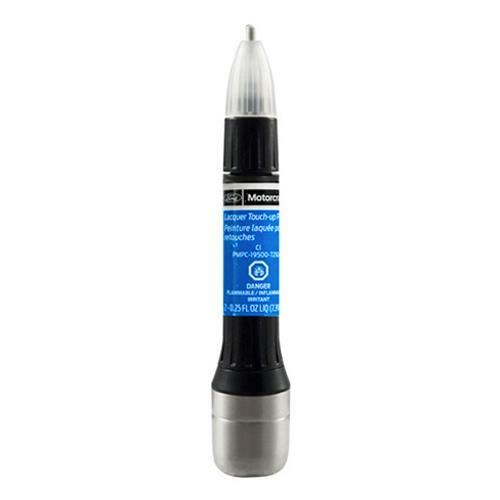 An abrasive pen tip allows you to gently remove any loose paint flakes to clean up the surface. 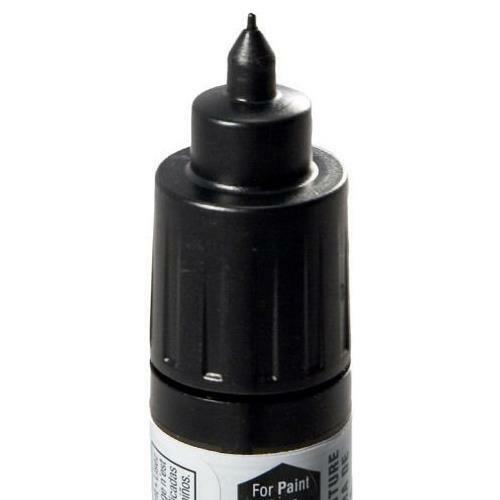 For scratches, a pen tip applicator allows you to lay down a fine line of paint flawlessly. 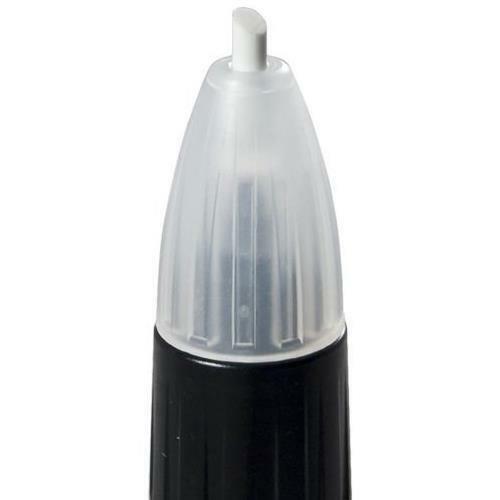 On one end, a brush applicator dipped in .25oz of your paint color lets you fill in larger paint chips. While on the other end, another brush applicator dipped in .25oz of clear coat covers your newly repaired paint for a professional looking repair! Unsure of where to find your Mustang's paint code? Your paint code is located inside the driver's side door jam on your VIN sticker. It will be the code next to EXT PNT. The paint color in this touch up paint is meant for original factory paint in the code specified. This paint is not guaranteed to match vehicles that have been repainted or faded due to sunlight exposure or other natural elements.